Kauri trees that are native to New Zealand are plentiful in the Waipoua Forest where you can venture along the boardwalk and see these gigantic trees. The Waipoua Forest where natural beauty is at is best was declared as a sacred place back in 1952 where you will find not only Kauri trees but unique plants and vegetation. 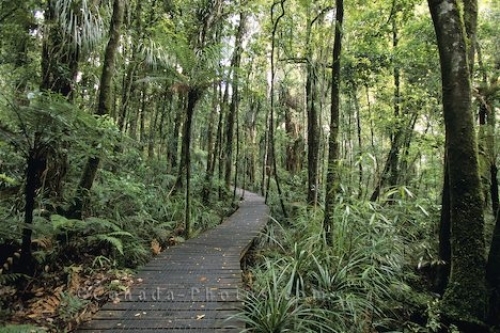 Picture of the boardwalk that meanders its way through the Waipoua Forest on the North Island of New Zealand.